This Free Beer was made for the by YourLand people in Arizona where they are rethinking fastfood. After being away to Mexico working on developing some kind of open-source solution for a biogas system (www.supergas.dk), we found two bottles of FREE BEER in our mail box together with a postcard from it origine. Katharina, many thanks for the beer! FREE BEER book out now. FREE BEER is a collection of texts written by speakers at FSCONS 2008 and based on their respective talks. FREE BEER is based on classic communication technology, but with added hypertext protocols for a natural energy boost. The authors of FREE BEER are Rasmus Fleischer, Jeremiah Foster, Stefan Larsson, Mike Linksvayer, Smári McCarthy, Henrik Moltke, Nikolaj Hald Nielsen, Denis Jaromil Rojo, Johan Söderberg, Victor Stone and Ville Sundell. The entire book, including this website, is published under the Creative Commons Attribution-Share Alike licence, version 2.5. This licence gives everyone the right to share, modify and even make money from the book, as long as it happens under the same licence. 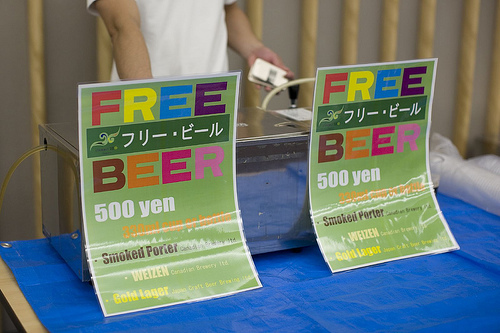 Of course, FREE BEER is also a beer. You can find out more about the beer in the interview on page 57. 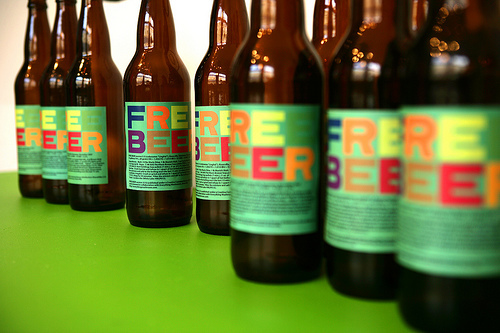 FREE BEER has been edited by Stian Rødven Eide. Thanks to Donald Williams for proofreading and Patrik Willard for the LaTeX wizardry. FREE BEER funding artistic production in new zealand. 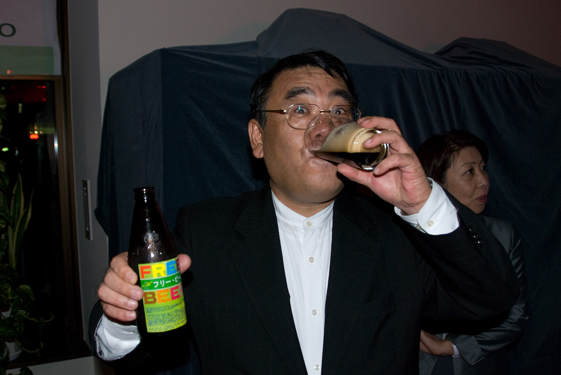 FREE BEER ( Codename: ARTSPACE) has been launched in Auckland, New Zealand. For their exhibition at ARTSPACE NZ., SUPERFLEX is presenting FREE BEER (Code name: ARTSPACE) brewed by the Steam Brewing Company. 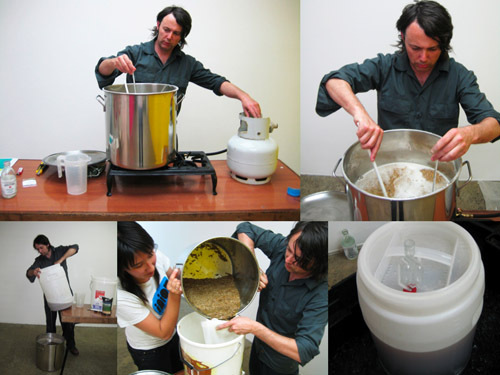 Local artist & homebrewer Simon Cuming has also brewed a batch of unique FREE BEER in the gallery beginning the process on opening night and serving the result on the closing party 22 November. ARTSPACE will seek to explore the potential of FREE BEER (Code name ARTSPACE) as an economic model for funding artistic production within the framework of the gallery. Please enquire at ARTSPACE office for more information. THE FREE BEER INTELLECTUAL PROPERTY PUB QUIZ, At: Tuesday 18 November at D.O.C, 352 Karangahape Rd, A chance to win a Brewcraft start-up kit and other FREE BEER related prizes! In knoxville Free beer version 3.3 was made together with the people from Everything Mushroom. As a part of the Taipei Binnial a FREE BEER has been released. 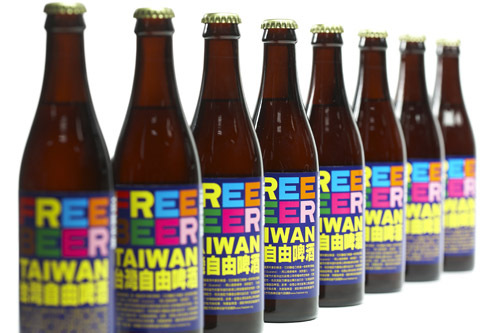 The beer is available in different bars around Taipei. 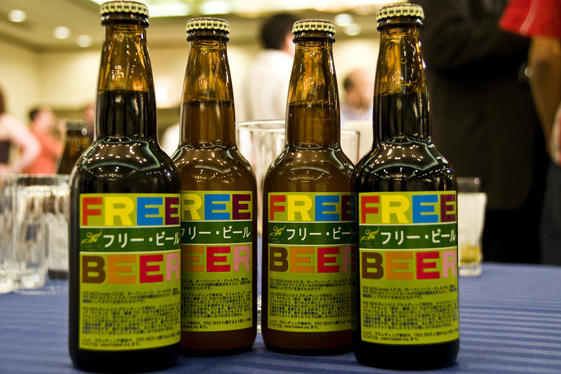 Henrik Moltke reports that the FREE BEER made in Sapporo is really good.